Data Backup Solutions | Adams Network Inc. 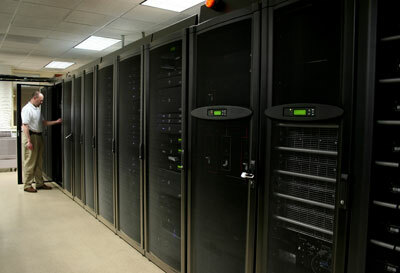 Your backup data plays an integral role in your ability to restore operations in the event of a disaster or disruption. And though you take great care to back up information, you’ve only addressed part of the story. If it isn’t properly stored, protected and retrievable when it’s needed most, then you may be significantly hindering your organization’s recoverability. If you back up data without the right management tools, security, tracking and environmental controls, it will be tough to find what you need when the unexpected happens. And when you consistently struggle to locate the right data, you also impede critical business processes and run the risk of being unable to provide what’s needed for an audit, compliance review or litigation event in a timely fashion. Adams Networks provides a range of different backup solutions depending on your network infrastructure. We will provide onsite and offsite/cloud hosted backup resolution services. We have partnered with Backup Assist and Iron Mountain to ensure your backup and disaster recovery plan is solid. Areas Covered We provide a range of computer support, computer services and repair and IT support in Tampa, Clearwater, St. Petersburg, St. Pete, Pinellas County, Hillsborough County, Naples, Ft. Meyers, Bonita Springs, Marco Island, Collier County, Lee County, Sarasota, Bradenton, North Port, Venice, Longboat Key, Palmetto, Port Charlotte and Punta Gorda.